Fifty years to start growing acorns seems like an immense amount of time. Pollination between the male and female flowers of the tree plays a role in how long it takes for the acorn fruit to begin blooming. 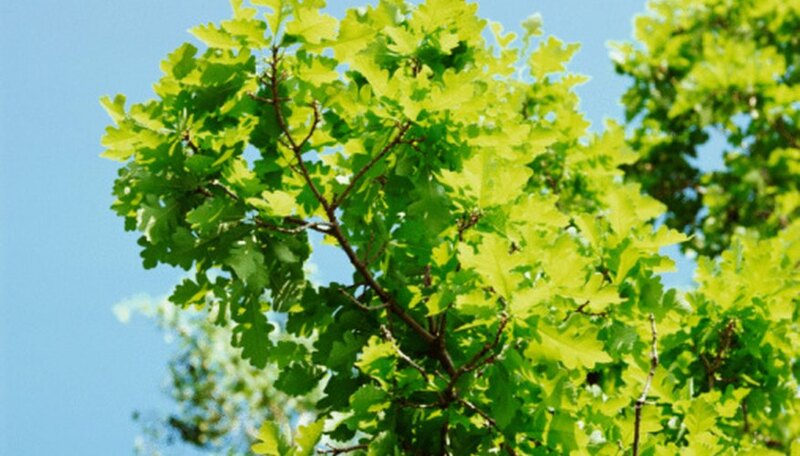 The majority of oak trees do indeed bloom acorns well before the age of 50. “Most species of oaks begin producing acorns at about 20 years old. Peak production occurs from about 50 to 80 years,” reports the University of Tennessee Extension service. Oak trees younger than 50 are likely producing acorns, but perhaps not in especially noticeable numbers. Acorn production from an oak tree older than 80 tends to be minimal, and certain varieties of oak emit more acorns than others. Healthy oaks with majestic, prominent crowns that tower over other tree canopies will bloom more of the seed than weakened, unhealthy oaks. Sometimes extreme production one year will be followed by a season of nominal blooming as the oak regains its energy. Other factors may influence the amount of time that it takes for an oak to produce acorns. Trees that find themselves in crowded stands often begin production later in life as a result of increased competition for fertilization between flowers. And a 1993 study by the U.S. Forest Service found that oak trees in the central Appalachians produced bountiful acorn crops only once per decade.